Its been an absolutely beautiful weekend here in Southern Oklahoma. We welcomed rain two days last week to our area. You can see signs of fall in the changing leaves. The air is crisp. I love this time of year. 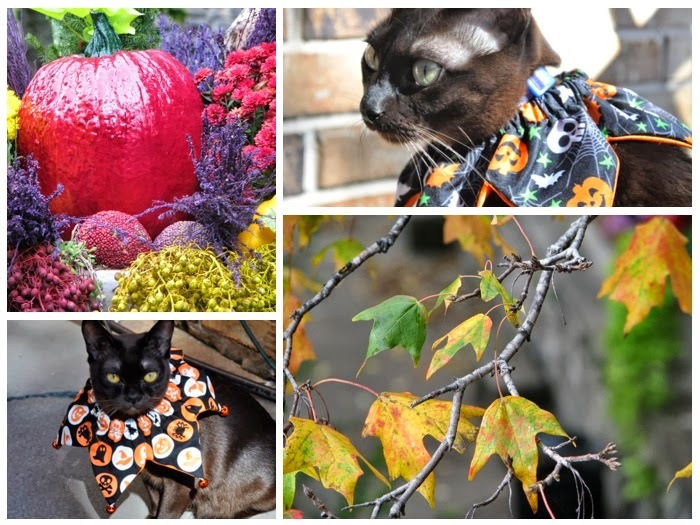 Chopin and Monet have their Halloween collars on ready for the goblins.